Adaptable to all makes and models of automatic wire processing machines, new or old. A PC and PLC are installed at every automatic cutting machine. A wireless barcode scanner is set at each machine to scan worker ID, wire P/N, terminal P/N, applicator ID, seal P/N. Crimp height micrometers are set at each cutting machine for setup validation and periodic measurements during the production. Groups of cutting machines can share a pull tester for setup validation and periodic measurements during production. Special reel clamps on each press. At every reel change the terminal P/N must be scanned again. Connections are made to the wire feed system to know when the wire runs out. The wire P/N from the new wire barrel must be scanned. Applicator ID's are scanned at setup time. The number of crimps made with each applicator is monitored to know when its time to change crimp tools. Work orders are automatically scheduled at each cutting machine based on real time wire bundle usage monitoring. 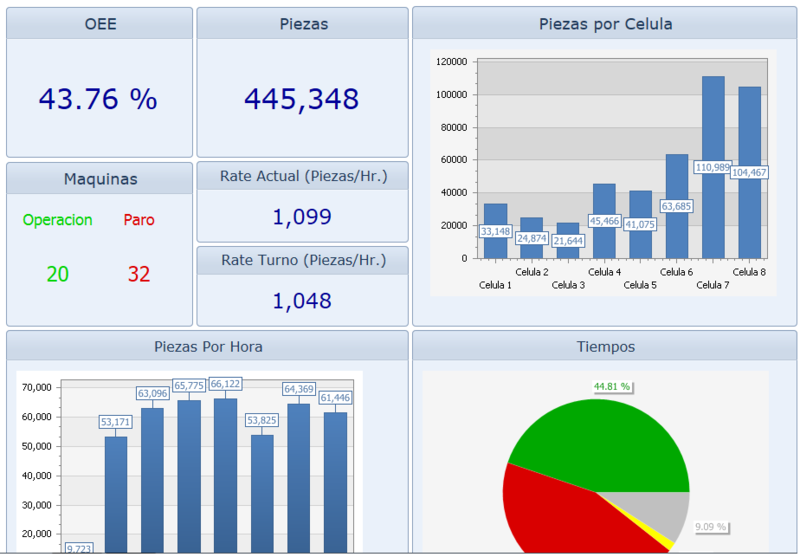 All relevant production data is collected and displayed in real time. Supervisors can see in real time which cutting machines are on target to meet production targets and which ones are not. Quality alerts and other warnings are available to the machine operator including when the next cross section picture is required and when tool changes are required. RTMS is a powerful networking system for automatic wire processing machines. Ultimately it provides a very hard control over the crimp process including materials verification, setup validation, production data collection, work order scheduling, tool life monitoring, maintenance scheduling, etc. Supervisors can see in real time which machines are not on target to meet the production goal.